Lucas Hedges Photos, News, and Videos | Just Jared Jr.
Lana Condor looks gorgeous in green as she arrives for the 2019 WSJ. Magazine Talents and Legends Dinner held at Mr Chow on Monday night (January 28) in Beverly Hills, Calif. The 21-year-old actress was joined by Alisha Boe, Kathryn Newton, Elsie Fisher and author Jenny Han, as they honored Lucas Hedges at the event. If you don’t know, the annual Talents & Legends issue, which showcases leading lights and rising stars of the entertainment industry. Lana was featured in the issue, and photographed by Cole Sprouse. See it here! Ansel Elgort looks like he had fun at the New York Knicks game last night! 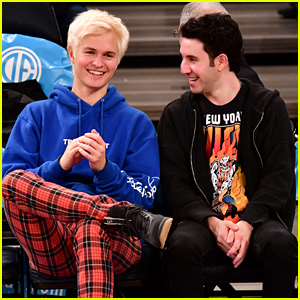 The 24-year-old actor, who was rocking a new bleached blonde look, watched the Phoenix Suns take on the New York Knicks court side at Madison Square Garden on Monday night (December 17) in New York City. Also seen in the crowd watching the game was Boy Erased star Lucas Hedges. Lucas was just nominated for a Golden Globe for his work in the stellar film! 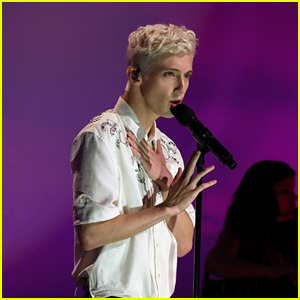 Check out all the new photos from the Knicks game..
Troye Sivan Sings 'Revelation' From 'Boy Erased' on 'The Ellen DeGeneres Show' - Watch Now! Troye Sivan is bringing his beautiful song to life on stage! The 23-year-old Boy Erased actor and singer-songwriter made an appearance on The Ellen DeGeneres Show with co-stars Nicole Kidman and Lucas Hedges on Tuesday (October 30). The celebs joined forces for the newest episode of W magazine’s “Lyrical Improv” series. Directed by Lynn Hirschberg, the video also features Lucas Hedges, Robert Pattinson, Chris Hemsworth, Tracee Ellis Ross, James Corden, and Thomas Middleditch. Watch the group sing and read the lines as they show off their karaoke skills in the hilarious clip below! ICYMI, watch Gigi Hadid and Kendall Jenner dramatically read Justin Bieber‘s “Baby” for the same series. 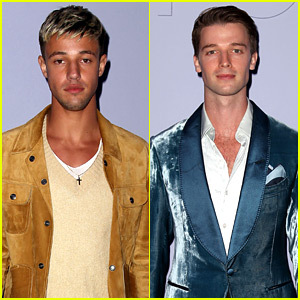 Cameron Dallas & Patrick Schwarzenegger Check Out Tom Ford's New Collection! Cameron Dallas and Patrick Schwarzenegger show off their slick style while attending the Tom Ford Men’s show held during New York Fashion Week on Tuesday (February 6) at Park Avenue Armory in New York City. Some of the other stars in attendance at the event included singer Halsey and Lady Bird actor Lucas Hedges. Patrick is going to be busy promoting his movie Midnight Sun for the next couple months. 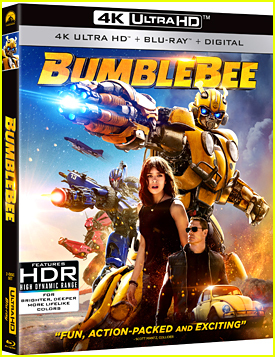 Make sure to check it out in theaters when it’s released on March 23.